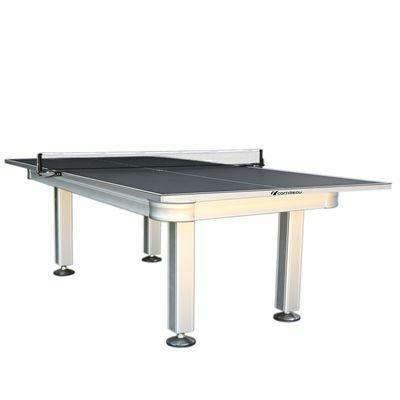 Delivering an outstanding resistance to outdoor climate specifically rain, snow and ice, the Cornilleau Outdoor Conversion table tennis top is a standard sized option compatible with e.g. pool tables standing outdoors. 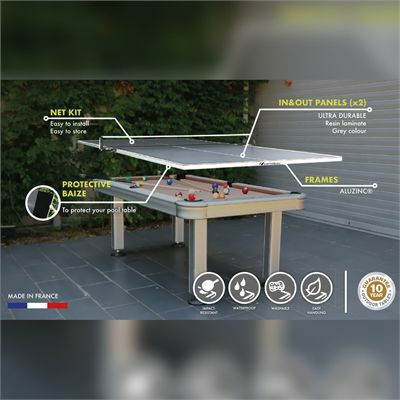 Within minutes you can change your dining table into tennis table since the top is easy to install and features a protective baize layer to ensure maximum safety for the table underneath. The table top boasts an extensively durable Aluzinc® frame and 5mm thick resin laminate, and it features a soft mat finish. The top weights solid 55kgs, and it’s supplied conveniently with a net kit. Furthermore, it’s made completely in France and comes with a 10 year warranty. The table is considered a special order and has a lead time of approximated 6 weeks. for submitting product information about Cornilleau Outdoor Conversion Table Tennis Top We aim to answer all questions within 2-3 days. for submitting product information about Cornilleau Outdoor Conversion Table Tennis Top. We aim to answer all questions within 2-3 days. If you provided your name and email address, we will email you as soon as the answer is published. 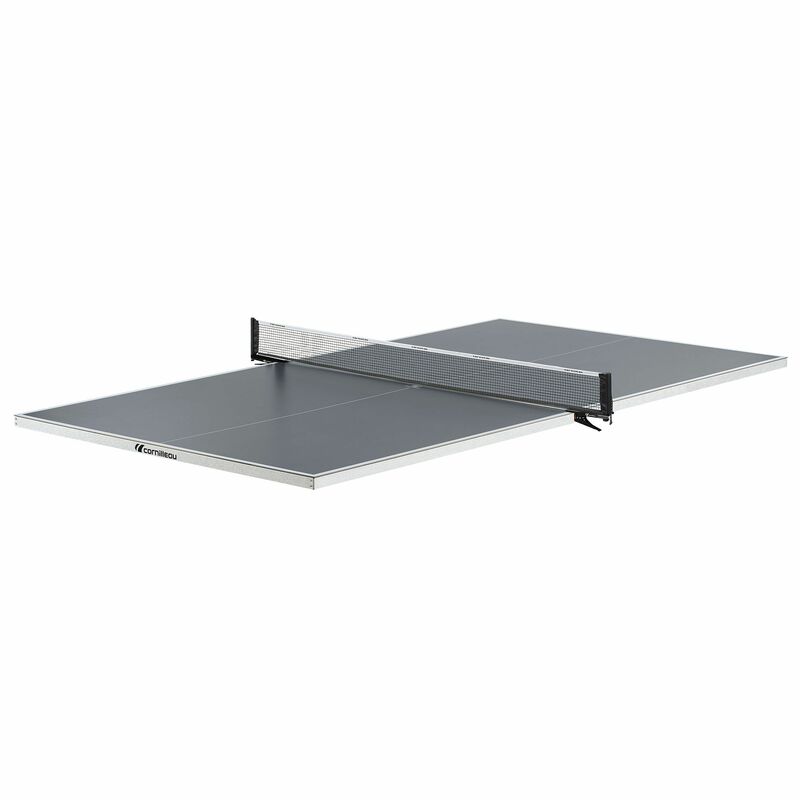 for submitting product review about Cornilleau Outdoor Conversion Table Tennis Top.